We’ve been wanting to get Dr. David Kennedy on for a long long time. He’s an expert in mercury fillings and fluoride. If you have these so called “silver” fillings you really want to get them out of your body. They’re toxic 3 ways to Sunday. What Dr. David Kennedy says about mercury will shock you and hopefully motivate you to get them removed from your teeth. Fluoride in our municipal tap water is pretty dangerous as well. There’s a great book called Cure Tooth Decay by Ramiel Nagel that I would highly recommend if you’re interested in learning more about how to take care of your teeth for a life time. The book is amazing and I recommend it to people all the time. So if you know anyone who drinks tap water you might want to pass this interview on to them. Before you get root canals, wisdom teeth extracted, cavities filled, surgery for gum disease or gingivitis you may want to listen to this podcast first. It is really eye opening. Dr. Kennedy and I spoke for almost 45 minutes off the air and he’s truly an amazing man doing great work! Learn about this powerful product that drastically reduces mercury in the body. – Click to tweet this! Guest Info: Dr. David Kennedy has been involved in dentistry for more than thirty years. 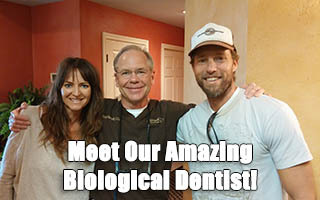 Hes passionate about getting mercury out of the dentists office in the U.S.as well as fluoride out of the water supply. Dr. Kennedy gives his ideas on the main challenges we face with bacteria in the mouth and just how to deal with it properly. He talks about ways to have your dentist do less and cause less harm and saving as much of the tooth and enamel as possible. We also get a clear picture of the challenge of mercury and fluoride in The United States and how much of Europe is way ahead of the U.S. on the issue. 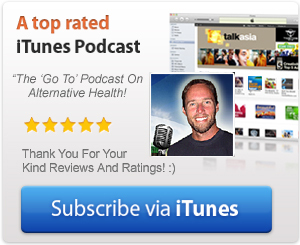 Justin: Alright, well thank you everyone for joining us on this post holiday edition at Extreme Health Radio. I hope you guys had a great holiday, and a great Christmas, and a great new year, and I want to thank you for joining us. Starting off the new year, 2013, this is going to be a fun interview, we have Dr. David Kennedy on the line. So this is going to be really fun, talking about our oral health, and oral pathology, and how that relates to our overall health. So again, thank you for joining us. 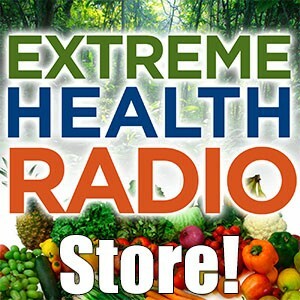 We broadcast worldwide from southern California, so thank you so much, this is extremehealthradio.com/53. If you want to find the transcription, and the show notes, and any reference materials the doctor talks about. And we broadcast three days a week, on Monday, Wednesday and Friday, and thank you to Mike Adams of natural news radio for having us on his websites. It’s an honor and a blessing to be on there with him. So thank you to Mike Adams, and if you have any questions for the guest, feel free to send them to justin@extremehealthradio.com and I will ask them to him, or you could call our voice mail line actually, which is 9493917363, and I will play your message to our guest on the air. 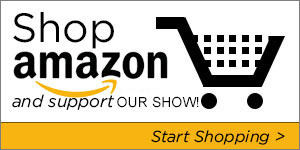 And I want to let you know that this show is brought to you by amazon.com, and that’s another way you can support our work and keep our website free, is visiting extremehealthradio.com/amazon, and make any purchases through there, and we’ll get a little commission and you can do that every time you make a purchase and that will help support our work. And before I introduce doctor Kennedy I want to talk a little bit about our upcoming show schedule. On Friday we’ll be learning about fermented foods and the power of fermentation, Wild Fermentation, from Sandor Katz, he is a master, he has written numerous books, and he is a master at fermentation, so that should be fun. And then on Monday we’ve got doctor Caldwell Esselstyn, and he’ll be talking about heart disease, and how to prevent and revert heart disease, that’s the name of his book. Heart disease and cancer are the two biggies in our culture and if we can stave off those, we’re in good shape, so don’t forget to check out that episode and then on Wednesday we’ve got Dr. Doris Rapp, who’s a pioneer in the field of toxicity, and she’s going to be talking about how to cleanse our house, and our office space or work space from toxicity and things like that. That should be a good show. But today we’ve got Dr. David Kennedy, and he’s been involved in dentistry for more than 30 years and he’s the past president of the international academy of oral medicine and toxicology, and that website is iaomt.org, and he’s a specialist in mercury, and he’s very passionate about getting mercury out of our teeth as well as fluoride out of the water, and he’s an expert in root canals, and all this kind of stuff. He’s written tons of books and he’s a pioneer in this field, so thanks for joining us doctor Kennedy. It’s great to have you on. Dr. David Kennedy: I’m glad to be here Justin, thanks for having me. Justin: Oh, excellent. So you’re staying warm down there in San Diego? Dr. David Kennedy: It’s down to 55 degrees outside. Justin: That’s cold for us, isn’t it? Dr. David Kennedy: Oh yeah. But I’m from Kansas and we’re used to it. Justin: So you’ve been involved with this kind of stuff for your whole life, over 30 years, and you’ve also got that video, I was watching it, “smoking teeth”, this is an amazing video. Dr. David Kennedy: I filmed that in, I tried it three times to film that as a demonstration by Roger Eichman. What it is it’s had almost three quarters of a million views on youtube and it’s actually on in about a dozen websites, so just on my website it’s had three quarters of a million views. It just drives the dentists crazy. A terrible thing is occurring right now on our watch, and it’s a crime, the American Dental Association said that the demonstration of smoking teeth, or the one Boyd Haley does, cannot be replicated, which is not true. Boyd Haley was a professor of chemistry at the University of Kentucky, he taught each one of his students in his freshmen chemistry class how to do it. It’s basically atomic absorption. But you can show mercury coming off an old dental amalgam filling 25, 30, 50 years after it was made, in enormous amounts. I’m not talking tiny, I’m talking enormous. And yet, here we have the trade association, that represents a hundred and fifty thousand dentists who are making money hand over fist putting poisonous metal fillings in people’s teeth, claiming that a proven fact of science is untrue. Well, why don’t they come watch the demonstration, why don’t they try to duplicate it themselves, because it would interfere with heir economic interest, which is continue to pack mercury in everybody’s teeth. It’s silly enough to sit there and let them do it. They deceive the public calling it silver, it’s not silver. It is 50% mercury, and if I were to sell you a box of cereal that was 50% oats, I can’t call it wheat! I got to call it oat! Still, dentists are calling this thing silver. One dentist told me, well, we call it silver cause it’s silver color. And I said, well, I bought my wife a beautiful gold wedding ring, and it turned her finger green, and you told me it was gold, and I come back to get my money back, and you say, well, it’s golden color, it’s really copper, I’d have to take you to court and get my money back. Everybody should do that on their silver fillings. They’re not silver. Justin: Yeah, it’s almost comical how bad they want to protect their infrastructure and everything else, isn’t it? Dr. David Kennedy: Oh, it’s not comical. It’s a crime that’s ongoing on our time. And people say, Dr. Kennedy how come you get so worked up with this? And the reason I get worked up about this is, for one thing I’m from Kansas, and we don’t believe that cheating and stealing is a normal way of life. But two, it’s actually destroying the fabric of our nation. And it’s not just the mercury but the mercury, the fluoride, the lead, silicon fluoride, all that stuff. And it has impacted the children so severely that we now have an army of neurologically impaired children and an army of neurologically impaired adults. As an example, the diseases that are linked to mercury, and I’m not saying caused, I’m saying linked. Linked is that there is irrefutable, scientific evidence that mercury will produce symptoms similar to this, appears in larger amounts in this people, it is linked to Alzheimer’s, Parkinson’s, ALS, MS, idiopathic dilated cardiomyopathy. The most common reason for someone to need a heart transplant is IDCM, and IDCM has 22000 times more mercury in their heart than a heart that died of a heart attack or something like that. A huge amount of healthcare is created by exposing people to poisonous metals. And the trouble is that most physicians don’t even understand it. The American Academy of Pediatrics, this is people who is supposed to be protecting our babies, just issued a press release opposing the United Nations phase out of mercury in vaccines, saying that those poor children, they need the mercury in the vaccines, and it’s so hot in some of those underdeveloped countries. We have to keep that thimerosal in there to keep them from becoming infected. Well, there are other things that work better, and who in their right mind would inject a baby with mercury. Well, that would be the American Academy of Pediatrics. And if you take a monkey, and inject it with exactly the same amount of mercury they want to inject in your babies, the monkey ends up neurologically impaired. Those monkeys can’t get mercury like humans, uh? It’s an ongoing problem, that you will not get action from trade associations. People seem to think trade associations are some form of government. They are not. They’re lobbyists. They’re the union that represents those people that are causing the crime. The dentists, the physicians, the pharmaceutical companies. They represent them, not you, not me, not our country, not our offspring, not our future generation. They represent the money. So why anybody would rely on them? It’s not understandable to me. Justin: Right, so Sweden and Norway banned mercury, didn’t they? Dr. David Kennedy: And many others. If you open up the package of amalgams. The mercury fillings come to the dentist office in a sealed container that’s shipped as hazardous material. If you open it up, every package has to come with a statement in California that says “this product contains mercury which is known by the State of California to cause birth defects and neurological impairment”. Or worse to that effect, the manufacturers have an MSDS sheet, material safety data sheet in it, and that says “not for use in children and pregnant women”. During the FDA hearings in 2006, one of the pediatric neurologists lady asked to the panel, she was on the panel, she asked to the panel, well surely in dentistry you have restricted the use of mercury in pregnant women, cause everybody here seems to agree that there’s a substantial release of mercury when a new filling is placed. And all the dentists on the panel looked at each other like a dear in a head light, and finally came around to the chair, who runs a big welfare clinic in Washington D.C. and he says “well, actually, there are no restrictions”. And the professors, the teachers of dental school say, “no, there are no restrictions”. Well, they haven’t even read the material safety data sheet. The manufacturer tells you not to do that. And yet these people, who have no training in toxicology, do not understand the impact of mercury on nerves. If you want to see a really good video, it’s on youtube, it’s called “how mercury causes neurodegeneration”. We can photograph this under a light microscope, with magnification, and put a tiny bit of mercury in a Petri dish with a growing nerve, and it stops growing and turns into neurofibrillary tangles. Does that sound familiar? What’s an Alzheimer brain? Neurofibrillary tangles. The only thing that produced neurofibrillary tangles in this ongoing experiment with the American public is mercury. Justin: So you were saying a few minutes ago that mercury is not a causative factor but it is linked. How strong is the link of mercury to all these diseases you’re talking about? Dr. David Kennedy: Let me be clear, I didn’t say it wasn’t causative, I said that the data is not yet sufficient to prove that it’s causative. This is slightly different, this is called “the cigarette defense”. In 1964 the surgeon general said “cigarettes may cause lung cancer”. 1994, they went on to say that it does cause cancer, and heart disease, and emphysema, and yada yada yada. Well, what happened in the ensuing 30 years, were 30 000 studies of cigarette smoking and of course there were several studies by the tobacco industry that said, “oh, no problem”, and then there were studies by independent researchers that said, “big problem”. So, the science requires an enormous amount of data to come up to the conclusion that it’s causal. It’s like trying to prove that somebody killed somebody, you can’t just be standing there with a smoking gun, you got to have a lot of other evidence to say “causal”. On the other hand, there are a lot of smoking guns. If you look at people with MS, I think I have 30 studies in my database. We submitted a, it’s on the iaomt website, it’s a petition to reconsider their FDA classification. And we cited an enormous body of literature, going back to the earliest days of multiple sclerosis, that linked it to mercury. You can have people develop multiple sclerosis-like symptoms from a single exposure to an enormous amount of mercury. So how can you say it’s not linked? Because the people with MS had more fillings, oh, maybe because they have MS they can’t brush their teeth as well. That’s an alternative explanation, but alternative explanations do not conflict with the conclusion that mercury is at least part and parcel of the broad spectrum. There are other diseases. Listen to that list again. Multiple sclerosis, and that’s basically a lesion in the brain, ALS, that’s a lesion in the brain, Parkinson’s, that’s a lesion in the brain, Alzheimer’s, that’s a lesion in the brain, all these things are lesions in the brain, and where does mercury accumulate? It accumulates in the brain, it loves sulfur. And that’s why I’ve sent you the video “how mercury causes neurodegeneration”. Why it does that? Mercury attaches to a protein called tubulin, which is supposed to insulate the nerve, and let your nerves grow out and form new synapses, and stuff like that. Well, tubulin falls off the nerve if it is exposed to mercury. So all of a sudden you have wires with no insulation, and that’s what’s called a neurofibrillary tangle. All of these data is not new news, it’s old news. We get denial from the people, the culprit. When was the last time a serial killer came and said, “I did it, I did it”. They’re serial killers, and they’re not admitting that they’re guilty. Justin: Well, they really can’t, because they’re going to have to go back and people will be associating. They would have to have some sort of clause that would allow them to not be held accountable, right? For all these years of damage. Dr. David Kennedy: You know, they actually did pass that clause, in the homeland security act after 9/11. The pharmaceutical industry slid a little clause in there saying that they were not guilty of causing autism from the vaccines. And that’s how it became a matter of national importance. So, no, you know what happens? It’s just exactly like the cigarettes. I broke a window when I was a kid. And one of the things that I was taught when I was growing up is that if you made a mistake, go confess to it, and figure out what is going to take to fix it, and take care of it. So, I went found the teacher that was responsible, and I said, you know, I hit this window, I didn’t mean to, I want to fix it. And I mowed yards in the summer, I got money, and he said, “thank you for telling me, I’ll look into it”. And they had a spare window in the shop and they didn’t even charge me anything. But that’s how you are supposed to do it. And then we get all these criminals, that spend all this time trying to hide behind proof of causation, and they end up, after the investigation is done, in a whole host of trouble because they made all these disingenuous claims in the process of trying to cover up. And so, what they end up being prosecuted for is not the original blunder. It’s understandable that people didn’t realize that mercury came out of the fillings until 1926. But after 1926, when Alfred Stock measured mercury in his own breath, they should have said, “oh, my goodness, that’s probably not a good thing”, let’s go another direction. They didn’t do that. They basically begun to cover up at that point, and in 1931 the American Dental Association held a meeting and said Dr. Stock is probably a very bad scientist. Well, he was the head of the German Kaiser Wilhelm Institute. He was not a bad scientist. He was a wonderful scientist. But what they do is they denigrate the source of the information. They didn’t do any experiments. They didn’t do any research. They just badmouthed the person that did do the research. And that’s, I think, what’s going to end up, when the jury hears this, and sees what they’ve been doing for the last 75, 80 years, they’re not going to be kind. They’re tired of their health being sacrificed to the altar of the all American dollar. One of the presidential candidates called dentists fat cats. I don’t think we’re fat cats, but the general public would have to say that we’re certainly making income better than the average guy. Justin: That’s fascinating, we’re here with doctor David Kennedy, we got to take a short break. His website, if you’re interested in this kind of information, and all of the stuff, and his research, and articles and things like that, he’s got a great website, it’s iaomt.org. And we’re with doctor David Kennedy, we will be back after this break. Justin: Alright, we’re having a good time here, with doctor David Kennedy, from the International Academy of Oral Medicine and Toxicology, thank you doctor David for joining us. I wanted to ask you, what’s the deal with mercury? Is it still in the filling?, are doctors and dentists still putting these fillings in kids mouths? Dr. David Kennedy: Yes, and unfortunately, most of the dentists who work on affluent Americans have moved away from using mercury fillings, and so a lot of people who are fairly well off think that dentist have quit using it, and that’s not true at all. They’re using slightly less than they used ten or twenty years ago, but they’re still using 50 tons a year, about a hundred thousand pounds are put in American teeth. And understand that an ounce will contaminate a ten thousand acre lake, so that amount of mercury, spread around in the environment. If for no other reason, you would want to quit doing that because what you put in somebody’s teeth, when they die, they go in the ground, then it goes into the water, or they get cremated, and it goes into the air. You have about ten grams of mercury in your teeth, so, you know, that’s not going to go away, that’s a deadly poison, and once you’ve mined it out of the mines, and put it in the hands of the dentists, who begins to put it either in your teeth or in his waste trash, it ends up going to the landfill, it ends up incinerated with the medical waste, it ends up coming out of crematoriums. So you end up with a world that’s contaminated with mercury, and that’s exactly what we have, we have, people are concerned about global warming and the mercury that’s coming out of coal. And when we do autopsies, this is 1987, so it’s not new news, it’s old news, but when you do autopsies of people, you find that the amount of mercury in their body is directly proportional to the number of mercury fillings in their teeth. It may have a few percentage points to do with whether or not their living near a coal fired power plant, or some industry that’s leaking mercury, but the biggest leak for mercury into your body is out of your teeth. Now, everybody who’s listening to this, do not run out and have the same idiot who put it in drill it back out because you will get an enormous dose of mercury in doing that, and that has killed people. One of the physicians told me of his triathlete patient who on a whim went from being able to run triathlons to being wheelchair bound for the rest of her life. Giving somebody a huge dose of mercury if it doesn’t kill them, injures them for life. So we don’t need that kind of removal. The IAOMT removes them safely, the IAOMT has an accreditation program to even teach people how to do this. You don´t learn this in dental school. Dental school is breaking the law. Every time a dental instructor opens an amalgam capsule to teach the student how to mix, pack, carve, polish the amalgam, they have broken occupational health and safety law. You cannot legally open those capsules unless you are in a space suit. And yet, every dental school in the United States, flagrantly, violates the law. I had an argument with the guy that was the dean of UCLA, I happened to be taking a course in UCLA, on a weekend, this is after the school was closed, and wandered around with my new five thousand dollars mercury sniffer. And the clinic, areas of the clinic, were 10, 20 times higher than California would allow a school to be. And I pointed this out to the dean and he said I unlawfully measured this clinic. And I said “I was taking a class, and you unlawfully exposed me to mercury”, and he says, “well, I’ve checked with our department and we keep our school within OSHA standards”, and I wrote him back, and I said, “your school is not a hazardous waste dump, and you can’t have students in a hazardous waste dump environment”. And he said he wasn’t going to discuss it anymore. The UCLA still is just as contaminated as it was thirty years ago. They don’t care that they’re breaking the law. Justin: So, I got to ask you, are there issues with people that are working in traditional, regular, dentist offices? cause I imagine you could go to a regular dentist and have them take mercury out. You don’t want to do it but in theory, I guess it’s possible. So, in those kinds of situations, the receptionist and all of these other people, are they’re being exposed? I would imagine, to tons of mercury. Dr. David Kennedy: Yeah, they are, and this was all in the 70s, this was the argument by the dentists to say, oh, we don’t see any problem in the dental profession, and then Roland did a case-control study in California dental assistance, and he showed that ladies that were working in dentistry had a 40% decrease in their ability to conceive a child. So one of the critical functions of a woman’s body is ovulation, and one out of five couples in America today are involuntary infertile. So Roland did a study and showed that, they controlled for everything they could possibly think of. They controlled for the frequency of copulation, they controlled for cigarette smoking, alcohol intake, age of the partners, fertility, everything they could think of, they controlled for, and they showed a 40% decline. Think about that, if your daughter went to get a job at a nice dental office, and the old dentist was still packing mercury, or even taking it out. The exposure is actually higher to the dental assistant during the removal process than it is during the placement process. We’re actually doing studies on this issue right now. And there’s vapor, and there’s also particulate, and that’s a terrible thing cause the particulate gets on your skin, absorbs, gets in you lungs, and continues to release over time. So dental personal are severely impaired, there’s a study showing that their kidneys are damaged, there’s another study showing they have neurological impairment, Diana Echevarria and James Woods did a study, even dental personal are excreting extremely low levels of mercury, low levels that are considered normal, if you can believe it’s normal to excrete out mercury. Justin: I’m sorry doctor David, what that last, you said neurological impairment, and then you said a word that I didn’t quite catch. Dr. David Kennedy: You know, they basically looked at dentist who were excreting extremely low levels of mercury and run a bunch of tests on them, neurological tests, instead of saying “they are able to stand and walk”, they actually started testing them, and found that they were severely impaired. They had suffered significant damage to their neurological systems, and that’s just occupational exposure. We’ve got studies showing that dental students are impaired, it’s a crime ongoing in our time, and the culprits are not ready to confess. I don’t know how you make them confess, but the problem is that they are continuing this very minute to injure people, without their knowledge. There was a poll that found that 76% of the population did not know there was mercury in a silver filling. I think that’s a major consumer deception. If you are selling mercury as silver, then you’re cheating. Justin: Yeah, that should be a crime, just by itself. I’ve heard doctor Hal Huggins talk about one atom of mercury is too much. Dr. David Kennedy: You know, one atom of mercury causes one atom of damage. David Eggleston long years ago, who did a study on T-cells, which are your virus fighting, disease fighting cells in your immune system. And if you put mercury fillings in, the T-cells dropped to very low levels. Well, what’s causing that? Well, they tried to eat the mercury up and died. So, when they die, they release the mercury, and it goes to another T-cell. And that releases the mercury, and it goes to another T-cell. So it’s like dominoes. But you don’t need to be swallowed in heavy metals, we’ve figure this long ago, that any heavy metal, lead, mercury, plutonium, all that stuff is bad. And what the dentists are demanding, and have withheld any consideration of the problem until it’s proven beyond the shadow of a doubt, is proof of causation. Well, we’ve got proof that it causes allergies, we’ve got proof that it causes neurological impairment, we’ve got proof that mercury causes this. No, they won’t accept that, they want proof that their filling causes that. It’s like trying to proof that your brand of cigarettes was the one that caused lung cancer and the other brand didn’t. I don’t think that’s a reasonable holding point for us to make health decisions. Justin: I want to ask you really quickly, kind of getting out of the particulars that we’ve been into. As far as how far up it goes, you said that this mercury causes, or there’s a link to all of these diseases and a lack of being able to have a child. Do you think that the people at the very very top, do you think they know what’s going on, and they either can’t admit it because they’re protecting their brand or maybe there are other issues? If people are continually sick, that’s great for the medical industry. Do you think that there’s some of that going on? Dr. David Kennedy: You know, that probably occurs at some level, but I think if we look at the history of the blunders that have gone on in medicine and health care for the last 200 years, the vast majority is just the paucity of knowledge on the part of the practitioners. It’s like, I didn’t learn anything about mercury toxicity when I went to dental school. They didn’t teach anything about that. And they don’t know anything about it. I know more about mercury than 99% of the dentists on the planet. But that’s because it became a point of interest to me, I joined the International Academy of Oral Medicine and Toxicology, and we’ve heard from the who’s who on mercury research for the last 30 years. That should be taught in every dental school, because if you are going to use the stuff, even if you are going to remove it, you need to comply with the laws of this country. And the occupational laws prohibit you from even touching that stuff. We were talking about the people in the dental office that are impaired. The ones that have the highest blood levels are dental hygienists. Well, how does that happen? Well, you know, they have this little rubber cup, and they start polishing those fillings with the rubber cup, that makes mercury come off, and the hygienists inhale it. So the hygienists are the most mercury poisoned of the staff, than the dentist and the dental assistant. It’s an ongoing crime. These are employees. We filed a petition with the California Occupational Health and Safety, asking them to institute what’s called a vertical standard. They have it for lead, so if you were working at a battery factory, or something like that, where they’re still using lead, then you’d go in there, you’d get a written informed consent that says, this factory uses lead, here’s your gloves, here’s your goggles, here’s your hood, here’s your space suit, and go make those batteries. And so, you’ve got what’s called the right to know, and you’ve got occupational protective gear, and then the factory itself has engineering controls, with their giant fans, and all that stuff to keep the lead away from your breathing zone. And you have a respirator to keep it out of your lungs. We asked that they do something similar for the dentists and the dental assitants that are exposed to mercury. And everybody admits the levels are way above what OSHA is supposed to regulate. And the California OSHA board looked at our petition for just 90 days, and then they denied it. They said there’s no need for additional regulations, everything you’ve asked for is already the law in this state and has been for more than 20 years. Is mandatory that employers tell their employees, that they’re being exposed. It’s mandatory that they’re provided with protective equipment. It’s mandatory that they monitor the facility, and to keep the records available, and the employee for mercury poisoning, and keep those records available for 30 years after the last incident. And they have to monitor at each incident. So that would be every time they put a filling in, or a hygienist polished a tooth. They don’t do any of that. An so, we have a completely irresponsible dental profession, that’s not doing any of that. Why don’t they do that? Cause they weren’t taught to do that. Because every dental school in the United States is accredited by the American Dental Association. The people that had the patent on the product. So they don’t teach the dental students that what they are handling is hazardous material, they lie to them. They say it’s locked in the filling. I was told that mercury didn’t come out of the filling. Well, watch Smoking teeth and tell me if you think there’s something coming out of the filling. Justin: Oh man, that video is so good, Smoking teeth, it’s amazing. All the things that you expose the tooth to, and you can see right there, it’s just smoking with mercury, it’s amazing. Dr. David Kennedy: So, let’s expand this a little bit further, since we’re on dentistry today. There are several other things that dentistry is blundering about, one of them is water fluoridation. Except, we don’t put fluoride in the water, we put silicon fluoride in the water. 91% of the water supplies that are fluoridated are using silicon fluoride, even the ones that are using sodium fluoride, when you measure, there’s lots of silica in it, so it’s probably silicon fluoride that’s misbranded. Silicon fluoride causes lead to go into the bodies of anybody who drinks the water. It’s been proven both in huge epidemiological studies in the United States, 450 000 children, and in a number of rat studies, that when you put silicon fluoride in the drinking water of and animal, it causes lead to increase in the body of that animal. So water fluoridation is causing lead to increase in the bodies of our children and, when you look at it, it causes certain subsets of the population, primarily people of Hispanic, Asian or African origin, and native Americans, to dramatically increase their blood level of lead. This causes permanent neurological impairment for a lifetime. I don’t think that an appropriate role for our water provider, is to damage the babies for a lifetime. Justin: Right. And doesn’t lead store a lot in the bones as well? Dr. David Kennedy: Lead is a heavy metal, it’s similar to mercury. I just completed a new documentary called Fluoridegate, and in there we talk about an experiment done back in 78, a lot of people listening weren’t even born then, but they did an experiment where they exposed rats to what’s called an LD1, which is enough lead to kill one out of a hundred rats, LD1 of mercury, and then diluted the lead down to one twentieth of the lethal dose, and exposed them to the LD1, and the one twentieth of the LD1, and all the rats died. So when you put lead and mercury together, where we should have had at the most one rat die, a hundred percent of them died. And that’s because lead and mercury together completely stopped the biological process of that rat being alive. So what are we doing to our children today? When a baby is born he goes on a tap water formula, it’s sucking lead that would ordinarily go through the body, into that baby. We have the American Academy of Pediatrics injecting them with mercury, and you have the mother’s fillings going into her breast milk. So now baby is exposed to mercury from the mother, or from the vaccines. It’s exposed to lead from the water, and from the silicon fluoride, and we have one of the highest infant mortality rates of any developed country in the world. We’re killing the babies! What if they don’t die? They end up stupid into remedial education, they’ve got learning disorders, they’ve got neurological impairment. That’s costing billions of dollars. Where are the republicans when you need them? Stop poisoning the babies! Save all that money! Justin: It’s amazing too, when you think about, you add on to what you were saying, with the formula, then you add in, most people will put those formulas in the microwave, and then you got the plastics, the xenoestrogens coming off. It’s a dark hole, but we got to take a short break here, doctor Kennedy, we’ll be right back after this break. Make sure to check out his website, it’s iaomt.org. In the next segment I’d like to talk a little bit about some things people can do to get these heavy metals out of their bodies, and where they can go, what dentists they can go to, and all that kind of good stuff. We’ll be right back with doctor David Kennedy, after this break. Justin: Alright, we’re here with Dr. Kennedy from iaomt.org. So we’ve been painting kind of a grim picture, which I think it’s very important for people to understand that they can’t necessarily just rely on anybody with a white coat. They got to start taking some responsibility, and our listeners are those kind of people. It’s good that people are starting to do their own research and question things on their own. So doctor, I wanted to ask you about some of the things that we can do. Let’s say someone’s listening to this, and they’ve got mercury fillings in their mouth. What are some things that you’d suggest right away that someone would start to do to start figuring out how to get rid of that stuff. Dr. David Kennedy: Getting rid of it and reducing it is a mission. With all toxicology, the first step is to stop your exposure. If it’s implanted in your teeth, that’s hard, because they’re going to be leaking every day. Certain things make them leak more. And that’s hot fluids, chewing gum, heavy brushing on the biting surfaces, all those things make more mercury come off. On the other hand, stuff like egg yolk, which contains sulfur, or garlic, which contains sulfur, tend to make it stop coming off. So, my first advice to anybody who’s into chewing gum, stop. Especially nicotine gum. The nicotine gum makes enormous amounts of mercury come off. So, stop using your teeth until you get them fixed. And then things that are cold make less mercury come off than things that are hot, so your new favorite beverage will be the iced coffee as opposed to hot coffee. And then, when you have a meal, finish it with an egg yolk and some garlic, and chew it up and get it on those surfaces of those teeth to stop the emission. Otherwise, they continue to leak large amounts of mercury for the next 90 minutes. So you can cut that tail off and probably cut your daily dose in half, by just simply making intelligent decisions about when you eat and how you chew. And then, when you do decide to have your mercury fillings removed, and sometimes I’ve had people do this over decades, it’s just you’ve got to know where you’re going, and then one step at a time will get you there. But basically what you do is you find a dentist who will protect you. And the protection is really clear. You have to have something covering your entire body, because there will be little particles of that stuff flying around, the dentist should be in a space suit, and the assistant should too. If they’re not, they’re being careless. If you went to go on an airline, and you saw the pilot having a couple of cocktails in the lounge before you got on board, you would probably not go on that airline. And I would tell you that if you see a dentists and dental assistants being careless, I would not recommend that you go for a flight with them, because I think that they are going to injure you more likely than help you. The IAOMT has an accreditation program which allows dentists to come in and present three cases that they have done, and explain to other members and knowledgeable people how they protected the patient, how they followed the procedures to keep you from being exposed and their staff, and the environment. All three of those things are the tripod, the staff, and the dentist, the patient and the environment. So that’s what you do with that, is that you basically set a plan. Every time I’ve looked into somebody’s mouth in the last 50 years, there have been some teeth that were worse than others. So, you know, people seem overwhelmed sometimes, when they say, oh, you’ve got 12 fillings. Oh my god, I can’t do this. Well, look at them, what if one of them is a lot worse than all the rest. Well, do that one, with protection. And then, next year, do another one. And in twelve years you’ll be done. If you are suffering from acute illness, be extremely careful, and do it in coordination with you physician. Because even the best protection in the world, if somebody is extremely ill with Parkinson’s, ALS, MS, Lou Gehrig’s, etc, that is probably not enough. Never do it when you’re pregnant. All the research indicates that if you want to have a healthy child, ditch your mercury fillings at least 7 months before, carefully remove them, at least 7 months before you conceive the child, because there was a study by Snapp in 81 that showed if you carefully remove the fillings, over the next seven months the mother’s blood level of mercury drops 90%. The EPA reported two years ago that one out of six mothers in this country have blood levels of mercury in the umbilical cord of the baby the day it’s born. That’s a crime. Why do we have one out of six mothers with that level of mercury? Well, it’s coming out of their teeth for heaven sakes. Justin: So you’ve got the babies starting off like that and then you also give them the vaccinations so then, there’s just a real correlation with the autism and all that. Dr. David Kennedy: You betcha. It’s an ongoing crime that is going to continue. California passed a law that says that mercury cannot be used in vaccines in California. Unless of course there’s a terrible emergency of some sort. [indistinguishable] year, since that passed in 2004, the public health department has declared an emergency. I think it’s time somebody asks them what the emergency is. There is no emergency. It’s continued use of mercury in the population. They’re so afraid it’ll be really obvious to everybody, that the autism epidemic was caused by injecting babies on the day they were born with mercury. And when it had begun to decline, although because of the idiotic actions of the Public Health Department it’s declining slower, and what do they do? They quit reporting the autism rate. California used to be the best at reporting that, they became the worst. Why? It’s because it shows they’re guilty! So we’ll put mud in the windshield so you can’t see the freight train coming. Justin: Yeah, golly. So, what about some products and things like zeolites, or I’ve heard of EDTA suppositories, and then there’s also this thing called OSR. Do you know what happened to that? Dr. David Kennedy: I do. And OSR is the only one that really worked for me. Nothing else brought my mercury levels down. EDTA will bring the lead down. It also makes mercury more toxic. All the chelators that are currently available in the market, EDTA, DMDS, DMSA, go through the kidney. And that’s not a particularly good place for you to take heavy metals. OSR on the other hand, was designed to go throw the bowel. And it leaves the body in 6 hours, and it basically is a ball and chain with a grabbing hook for mercury. It’s got 2 sulfur molecules, that are 180 degrees apart, and it’s fat soluble so it actually can get in the brain and so forth. They never made any claims about chelation but the Food and Drug Administration knows that the autism community, children who had never spoken a word, took this thing for a week or two, and suddenly begun to talk, and their brains begun to clear up. It was on the market for a year. And so, the Food and Drug Administration says, no you can’t sell that as a chelator. You can’t kill a rat with it. You can stuff it in the rat’s mouth to the point where they can’t swallow it, and it doesn’t hurt the rat at all. Really, really safe stuff. They didn’t make it a drug. Well, Dr. Haley, they guy who invented it, didn’t have any money and he had mortgaged his farm to bring this stuff out anyway. And so, an industrialist from Sweden who had been told he was going to die of MS, had taken some of it and recovered, and he said, “well, what do you need?” And he said, “well, you know, it’s got to get approved as a drug, it’s millions of dollars”, and he said, “how many millions?” And it’s be back on the market this next year, but it’ll be a drug, it’ll cost you money, but it is the solution to mercury. It’s sequestered in the brain, and kidney, and places like that. There’s even a preliminary study showing that it’s really helping hearts and cardiovascular disease, and all these other things that are linked to mercury are being dramatically improved by this simple little product. It’s made out of two natural things, cysteine amino acid, and benzoic acid, two natural products. You can find all that stuff in a bowl of cereal, or a box of crackers, but you hook them together, so that the ball and chain hooks up the mercury and then it becomes a solid and out it goes. So, anyway, it’s coming probably this year, thanks to the angels from above. Other things that remove mercury are dietary, but you know, it’s kind of like using a band aid against a nuclear attack. Mercury is horrible. I feel bad about saying “you need to eat more garlic and more beans because they’ve got sulfur and fiber to counteract the nuclear holocaust that’s going on in your mouth”. I’m sorry, there’s just not enough molecules of sulfur in ten cloves of garlic to counteract the hundred million molecules of mercury that are coming off of your teeth every day. So, you got yo stop letting dentists put in 50 tons of the stuff a year. The first thing is the responsible parties. The Food and Drug Administration promised they would regulate this thing. They were ordered by congress to regulate this thing. In 2009 they said, oh, it’s perfectly safe. We filed a petition, the panel agreed with us that they had not done their homework. Same thing they did in 2006. So twice now, we’ve defeated the ADA’s Food and Drug Administration puppet, with science. And they haven’t taken one step. The reason is that the lady that’s in charge of the FDA also has stock in the largest distributor of amalgam. She said she was going to recuse herself because there’s obviously a conflict of interest if you’re going to make a determination regarding mercury fillings, and you also have stock that’s making you money from mercury fillings, and she says she is going to recuse herself, and she didn’t. She is making all these decisions based on her own pocketbook. Justin: Wow, well, that’s not surprising. So this OSR that you’re talking about, I think it’s called Oxidative Stress Relief, I think. Dr. David Kennedy: NBMI. It stands for N1N3-bis(2-mercaptoethyl)isophthalamide, so NBMI is the new name for the product. It will be back on the market. The FDA won’t let you sell anything, if it was called OSR, and they make you quit selling it, you can’t call it OSR prescription. You have to change the name. So they changed it to NBMI. Dr. David Kennedy: NBMI, November, Bravo, Mike, India. Justin: OK, NBMI. I was going to ask you. With that being released as a drug, are they going to synthesize that and put these other fillers and adjuvants into that, or is that going to be a safe drug. Cause there’s really not such a thing. Dr. David Kennedy: The kind of the product that I took was just the raw powder. And they’ve got a factory that they set up in Ireland. And it’s 99.9% pure, and the impure 0.1% is basically two molecules of NBMI stuck together, so when that breaks up you get a little blur of the good stuff. So, anyway, it’s harmless and well synthesized. I think it doesn’t have any fillers. The stuff in the tablet, they have capsules so that people can, the powder tastes like sulfur, it’s nasty tasting. I kind of like it, but anyway. So people want capsules, they have capsules, but they have a little titanium oxide and some fillers in there. But they’re reasonable fillers, and not GMO stuff. Justin: […] OK, so you said that they’ve got a little bit of some fillers but generally, NBMI is going to be pretty safe. You said it’s going to come out this year, you think, in 2013? Dr. David Kennedy: 2013. It’s very safe, and I would take the powder and you just side step all the issues with fillers. Justin: Interesting, OK, so put the powder down. So these are all ways that people can look at getting this mercury out. I wouldn’t even know where to go from here. Are there times in people’s lives, like you said, there’s the pregnancy, 7 months before pregnancy, or if people are currently dealing with debilitating diseases, are there other times in people’s lives that maybe they would just say, OK, I’ll keep the mercury in cause it’s too much of a stress on my immune system? Dr. David Kennedy: That’s a hard one to call, really Justin, because each individual has to evaluate their own economic situation, their health conditions, and their priorities. I have friends that still have mercury fillings, I can’t make them get their fillings out, but nobody in my family has mercury fillings. I took them out of my father, and he put them in me. He’s a retired dentist. So, it’s not good to have mercury in your teeth, how soon you get it out is…this problem’s going on for 200 years, if you get it out in the next 100 years you’ll cut the time in half. Justin: So I guess it just relies on each person to kind of figure it out for themselves. I know we’re kind of ending the show but, I wanted to talk, or just really touch briefly on root canals, cause most people have these things, and I know you’ve got some thoughts about root canals and how they effect their health. Dr. David Kennedy: Root canals are dead teeth. And if you had a dead toe, what would you do with it? You’d have it removed and put a bandage on it. So, the same thing should happen with the teeth, instead of embalming them. Actually, many of the ingredients that they use in dead teeth are the same the mortician uses to embalm a body. That doesn’t keep the teeth from being infected. And that’s a huge problem. Talking about infections, the most common infection in the human body other than tooth decay in children is gum disease in adults. 67% of the adults in this country have gum disease and 90% of them have some kind of gum disease, 67% severe. So, what do you do about that? Disinfect the mouth. Fluoride doesn’t do it. Fluoride makes it worse. So we’ve got an insane program, I wrote a book on it, How to save your teeth, we have an insane program of trying to prevent tooth decay with poisons. Who would brush their teeth with arsenic? Well, fluoride is a little less toxic than arsenic, a little more toxic than lead. So if I invented a lead tooth paste, would you use it? No! Hell no! It’s crazy to use poisonous things in your mouth. Especially in children, cause children swallow whatever you put in their mouth. That’s what we’re doing in this country, so. Irrigation is the solution to gum disease. A Waterpik with an iodine solution, like the Gerson’s therapy uses to wash vegetables. Rinse that in your mouth and spit it out. It’s a wonderful way to disinfect the germs that are causing gum disease. Justin: And what are some other ways that people can take care of their teeth like should they brush with baking soda, or what kinds of things should they brush with? Dr. David Kennedy: You can brush with baking soda, you can brush with saliva. I carry a toothbrush around in my pocket. Saliva has all the ingredients that your enamel needs to be well. I wonder why that’s so? And so, saliva is a good thing to brush with. I tell people, do you want something to brush with, go to the kitchen, you can find a little peppermint, you can find a little baking soda, you can find some salt. The key is to get all the scum off your teeth, and use a Waterpik to hose it down. If you rubbed your car all over, and didn’t hose it off when you’re done, it’s going to look terrible. Well that’s what I see when I look under a microscope. You moved the germs from this tooth to that tooth, but if you don’t hose it down. All the germs that cause gum disease are swimmers. So, brushing is not going to get rid of them. There’s scum on the teeth, scum causes tooth decay. But once you’ve removed the scum, how about the swimmers, you need to hose it, and that’s the Waterpik. Justin: So swishing your mouth with water wouldn’t be enough to move it because you’re not using the iodine. Dr. David Kennedy: Around the tooth. Swishing goes down at most to half a millimeter. Half a millimeter is like 4 sheets of paper. So, it doesn’t get down there. So you got to use a Waterpik to squirt it down. Justin: Wow, golly. So, some of the foods that people are eating are basically causing all of these issues. If people just ate the right diet they wouldn’t have cavities, they wouldn’t need the mercury. Dr. David Kennedy: Every culture, even the Egyptians had some cavities. They ate too many figs, but gum disease has been around forever. It’s caused by the same kind of germ that causes syphilis. It’s called a spirochete, and there’s a wide variety of germs involved, but they’re parasites. Parasites and bacteria live in the gums, and the solution is cleanliness. Is not rocket science, it’s called “keep it clean”. And you can’t keep it clean with a brush alone. You have to use the brush plus some disinfectant. Iodine is much more effective than fluoride ever thought have been, so, you know, a nutrient? Oh! We could use a nutrient, and that would be much better, so. You can use any number of things to clean your teeth. Tea tree oil, if natural things we’re talking about, we can use [indistinguishable], we’ve got the neem bush, it’s been a tradition in Africa for a way to clean the teeth, and the neem sap tends to kill the germs a little bit. The bottom line is you’ve got to knock all the scum off and you got to hose it with the Waterpik or irrigation device. They even have the screw on the shower, so you can squirt away in the shower. Justin: And you could use like a Lugol’s maybe, iodine? Dr. David Kennedy: Lugol’s iodine, put a little bit in the Waterpik chamber, and squirt away. Lugol’s is the nutrient form of iodine. Some people will use Povidone, I would prefer to use Lugol’s. Povidone is ammoniated iodine so that’s not a nutrient, that’s a disinfectant. Works real good, but it’s still kind of nasty. Lugol’s on the other hand, in the Gerson diet you should take 15 mg a day, as a dietary supplement, so anyway. That’s probably a better way to expose yourself to iodine with an irrigator, with some iodide treated water. Same thing they did for the marines in Vietnam. They gave them tablets of iodine to put in their water. Justin: Yeah, that makes sense. So what kind of things are you working on with the Academy and stuff like that these days. Are you writing more books?, doing more conferences?, what kinds of things are you working on? Dr. David Kennedy: I just finished a movie, it’s called Fluoridegate, an American tragedy. Will be out this month, and we are going to film festivals with that. I have 20 programs that play in public access TV, and I am packing to go to the United Nations conference on mercury, prohibition of mercury throughout the world. I don’t think we are going to win, cause the lobbyists from the American Academy of Pediatrics and the ADA are saying, oh, god, we’ve got to have this mercury for the poor people of the world. Like you said when we started the program, Sweden, Denmark, Norway, have all prohibited it, and many countries, England, France, Germany, Austria have recommended against its use in vulnerable subsets, children, pregnant women, that sort of stuff. We’re doing our best, but, you know, to get behind and start pushing on that wheel we’ll get it to turn. Justin: That’s good, that’s great stuff. Well, thanks doctor Kennedy, for spending an hour of your time with us. Would you mind to holding as I close out the show? Dr. David Kennedy: No, not at all. Justin: Alright, thank you so much everyone for joining us on another edition of extremehealthradio.com. It was really an honor to have doctor David Kennedy on our show. Visit his website, iaomt.org, for more information about all this kind of stuff, talking about dental issues, and how you can get the mercury out. I wanted to thank Mike Adams of naturalnewsradio.com for having us on his network, and I also wanted to let you know that we are 100% listener supported, so, if you have an extra couple bucks, we would greatly greatly appreciate any kind of donation, and you can do it through PayPal, and it’s completely secure, you don’t even need a PayPal account. And every little bit helps, so. If you can donate, that would be great, if you cannot, don’t worry about it, maybe you can just follow us on facebook and send our link out to your friends, and hit like on this show page, and all that kind of good stuff. That would be great. And we also have a really great mailing list, if you want to join, lots of great content coming out about once a week on there, as well as a store. We’ve got lots of great products, like the rebounder, the blenders, and dehydrators, and work out equipment, and supplements and all kinds of great stuff in our store, so please visit there, and that would be really, really great. It would be a way for you to support our work. So thank you again for joining us and I will see you on the next episode.